Summary: The object of my research is the intergalactic medium (physical vacuum), which represents the conceptual basis of the universe and takes part in all interactions in nature. The standard ΛCDM (Λ-Cold Dark Matter) cosmological model should be revised in the light of the analysis of new experimental data, and the simple minimal expansion of the Standard Model (SM) called SMASH, proposed by Dr G. Ballesteros of the University of Paris-Saclay France, is clearly not enough . The Leo Sapogin’s Unitary Quantum Theory (UQT)  and the Yuri Baurov's Theory of the byuon  substantially supplements SM. Non-baryonic matter, which forms the basis of the intergalactic medium, is in constant force interaction with the baryonic substance of planets and stars that is born from it. This non-baryonic matter is the main source of energy for the formation in them not only of electron-positron pairs, but also of any other structural elements of matter. Moreover, possessing an all-pervasive character, this medium influences all processes occurring in accelerators, colliders, Cherenkov generators and other vacuum installations on Earth and in the Cosmos. A new theory of intergalactic plasma is born at the junction of the three directions of physics: elementary particle physics, quantum electrodynamics (QED), and astrophysics. Only the joint work of scientists from all fields of physics will be able to solve this problem. 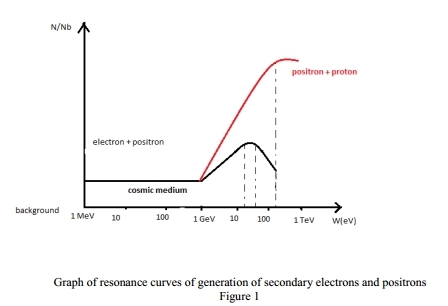 It is necessary to combine the studies of the mechanism of resonant generation of electron-positron pairs in a physical vacuum irrespective of the nature of its excitation (photons of cosmic radiation, relativistic electrons and protons or a peak electric field) in the near-Earth space environment, Cherenkov generators, tokamaks, accelerators and colliders or in the EmDrive engine. This idea is the basis of my appeal to readers in the article "Dark matter and Generation of secondary electrons and positrons in the near-Earth space environment from the data of experiments PAMELA, FERMI and AMS", published on the pages of the last issue of the Global Journal of Science Frontier Research: A Physics and Space Science Volume 17 Issue 2 Version 1.0 Year 2017  . Direct experimental determination of the resonance dependence of birth Ν elementary particle pairs of frequency ν is almost completely silenced by modern physics. Following the deceptive logic of the modern theory, this dependence is drawn as a monotonically increasing curve. The spherical condenser was a glass flask 0.4 m in diameter with a metal layer applied to the flask wall connected to electrodes soldered to the walls of the flask. Inside the flask, a deep vacuum was created with the aid of vacuum pumps. A metal target placed in the center of the sphere. An electron gun capable of generating primary electrons by heating a spiral, focusing them into a narrow beam and directing it to a target, giving them a predetermined energy (relativistic velocity). Secondary electrons were generated by impact and deceleration of primary electrons in the target and recorded on the inner walls of a spherical capacitor. Between the target and the metal layer on the walls of the spherical capacitor, a predetermined potential difference was established. The Studies of secondary electron emission were carried out under conditions of deep vacuum. In the case of secondary emission, the electrons emitted from the target have are approximately evenly distributed initial phase, since secondary current caused by electrons having a kinetic energy larger than the height of the potential barrier (output work). The existence of a large number of electrons with the same phase facilitates the formation of clusters. It should be noted that the emergence of excess energy clusters and their discovery due to the fact that in contrast to the increase in the energy of a single electron, clusters of electrons experimental easier to register growth of energy and reliably separate them from the primary electrons. These clusters acquire during acceleration an energy that in tens of times the calculated value of the energy of charge for a given potential difference. Electron current is generated by sufficiently stable electron clusters consisting of 10¹¹ electrons with a size of the order of 20 microns. These clusters acquire during acceleration an energy, which exceeds by 30 and more times the value possible when the charge passes the used potential difference. These phenomena (especially the second one) are absolutely incomprehensible from the point of view of the ordinary physics. i.e. is not only unequal to zero, but more over it unrestrictedly exponentially increases in time for no reason whatever. L.Landau and E.Lifshits in their classical work “Theory of the field” wrote apropos of this: “A question may arise how electrodynamics satisfying energy conservation law is able to give rise to such an absurd result in accordance to which a particle was able to unrestrictedly increase its energy. The background of that trouble is, actually, in infinite electromagnetic “eigen mass” of elementary particles.” This explanation did not satisfy me. I decided that it was necessary to revise Maxwell's electrodynamics and Einstein's theory on the basis of the experiments of N. Tesla, effects Kasimir, Lamb – Rutherford, Cerenkov-Vavilov and the results of my research. However, these effects contradicted Einstein's dominant theory, and my scientific work was not recognized by my scientific supervisor. In my further 25-year practical work as the head of the group and the scientific consultant in the RSC Energia, I have repeatedly encountered phenomena that do not fit into the framework of SRT and GTR Einstein, but only now at the age of 75 I was able to sum up my observations in the collection Articles published by the publishing house LAMBERT Academic Publishing [9,10] and five articles in the Global Journal of Science Frontier Research: A Physics and Space Science [11-14]. Physics news on the INTERNET “Extension of the Standard Model ”, - Moscow: Physics – Uspekhi, Vol.60, No.3, 2017. Leo G. Sapogin, Ryabov Yu.A., Boichenko V.A. The Unitary Quantum Theory and a New Sources of Energy. - Science Publishing Group, USA. 2015. Konstantinov S.I., Dark matter and Generation of secondary electrons and positrons in the near-Earth space environment from the data of experiments PAMELA, FERMI and AMS, Global Journals Inc. (US) GJSFR-A, Volume 17, Issue 2, 2017. Tesla N. Papers.- Moscow: Russian View. 2010. Prigogine, I., Stengers I., Time, Chaos, Quantum - Moscow: Progress. 1994. Rykov A.V. Fundamentals of the theory of ether, - Moscow: Russian Academy of Sciences, Institute of Physics of the Earth, 2000. Konstantinov S.I. , Cosmic Medium (Collection of articles) , – Lambert Academic Publishing, Deutschen Nationalbibliothek, Deutschland/Germany, 2016. 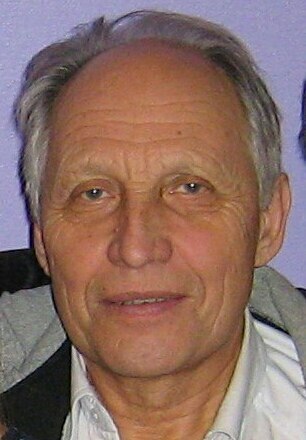 Konstantinov S.I. , Neo-Ether (Collection of articles) , – Lambert Academic Publishing, Deutschen Nationalbibliothek, Deutschland/Germany, 2015. 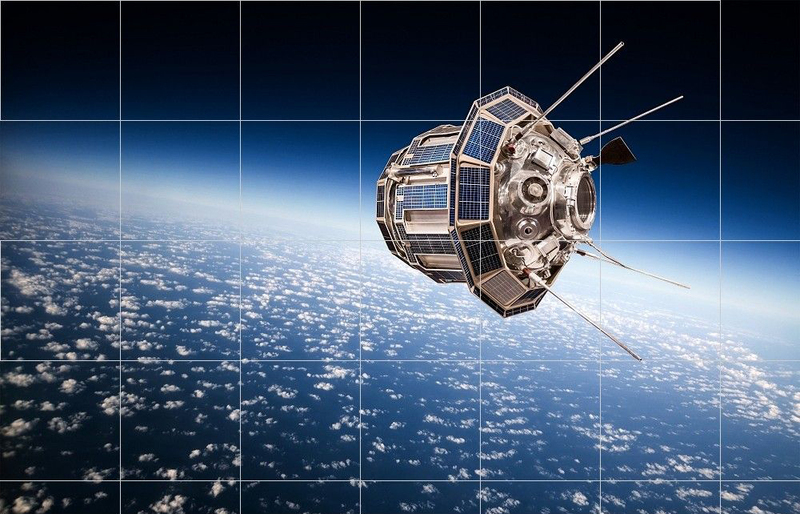 Konstantinov S.I., Generation of secondary electrons and positrons in the near-Earth space environment from the data of experiments PAMELA, FERMI and AMS (2006-2016), Global Journals Inc. (US) GJSFR-A, Volume 17, Issue 2, 2017. Konstantinov S.I., Tokomaks, Accelerators, Colliders and Maxwell’s Electrodynamics, Global Journals Inc. (US) GJSFR-A, Volume 16, Issue 6, pp.85-97, 2017. 13. Konstantinov S.I., Metaphysics of classical space and time, Global Journals Inc. (US) GJSFR-A, Volume 16, Issue 5, 2016. Konstantinov S.I., The cosmological constant and dark energy: theory, experiments and computer simulations , Global Journals Inc. (US) GJSFR-A, Volume 16, Issue 5, 2016.